Hello Lovelies! So, I am sure you may have seen a lot of pink around last month. It was "painted" on websites, in stores, even on the delicious looking football players' uniforms in the NFL.....ZOWIE!! !.....excuse me while I wipe the drool from my mouth. The sweet, girly shade you saw all around was non other than a sign that Breast Cancer Awareness Month was well underway. Throughout the month, many companies and brands offered lots of products to help promote awareness and show their support. 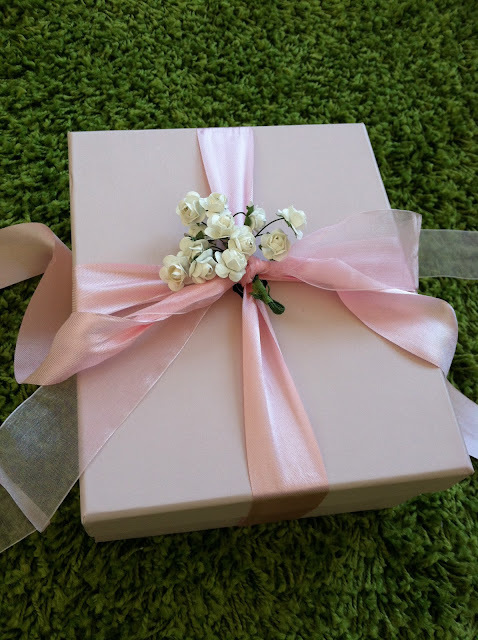 In purchasing one of those items you would not only be getting a fabulous piece or product for yourself, a percentage if not all of the proceeds of the cost would go to the breast cancer foundation of the seller's choice. I think that's a win, win situation don't you? There were so many goodies out there I loved and wanted to purchase to help show my support, but I had to narrow it down to my favorites. I loved that the brands and companies were putting a twist on their products. From Bloomingale's "little pink bag" to Movado's signature design available in pink, there were so many great selections to buy in support of Breast Cancer Awareness. Needless to say October had me tickled pink (sorry, I couldn't help myself), so much so that I decided to hold a little "pink ribbon" giveaway of my own. 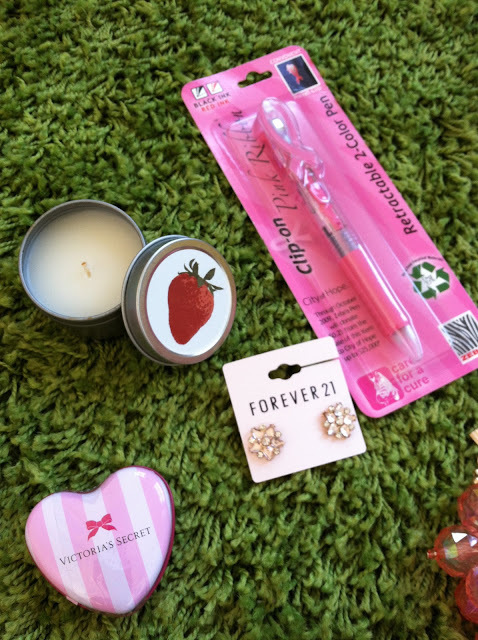 I put together a little goodie box of sweet pink items that I hope you would find fun and just out right girlie. Curious what's inside? Take a peak below. Yes Dearies, I have included all kinds of blush inducing goodies. Here's the deets! *Must be at least 18 years or older. Giveaway open to U.S. Residents only. Follow Accidentally Stylish via Google, Facebook, Twitter, or Bloglovin. Leave a comment below with your email address so that I may contact you if you win. This giveaway is open until Thursday, November 29 at 11:59 p.m. EST. The winner will be randomly selected and contacted via email Friday, November 30. I hope you like this fun little giveaway and stay tuned for more goodies to come. 'Til then, stay chic and THINK PINK! Congratulations Jean! I will be emailing you shortly for your mailing address to send out your pink goodies! Thank you soooo much to all who entered this giveaway!! I absolutely love this giveaway and the support for pink products!